Sellers willing to pay 3% towards closing cost w/ full price offer. 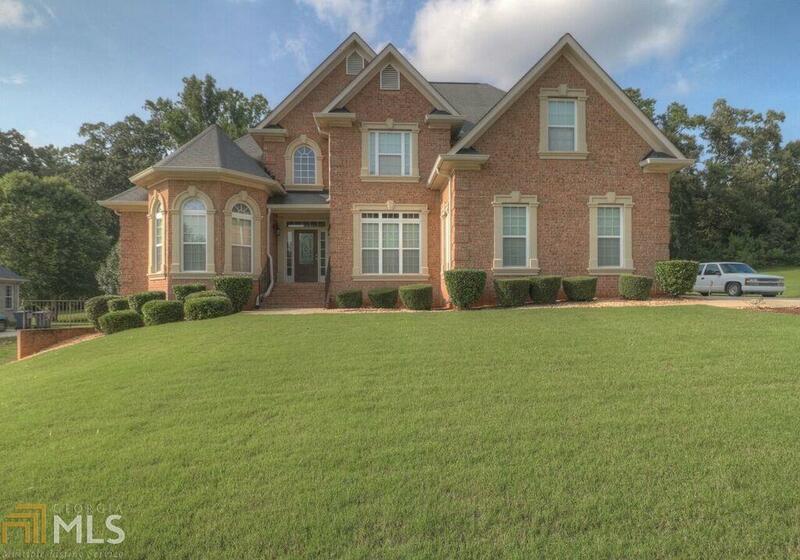 A meticulously stunning home located in the exclusive South Ridge Subdivision. This custom built home is guaranteed to please. Boasting 5Bedrooms/3FULL Bathrooms, a epicurean kitchen w/ SS appliances, granite counters and an island, MASTER-on-MAIN, hardwood floors, detailed crown molding, TWO fireplaces, wrought iron staircase, and a guest bedroom on main overlooking a private backyard. The Master Bedroom is a retreat designed w/ trey ceilings and a spa-like master bath. With 3 additional bedrooms on the upper floor, a guest ste/full bath on the main floor, and a basement roughed for easy finishing out, this home has more than enough space to meet your family&apos;s needs. 12-month Home Warranty!